The start of a new year often brings up the annual performance review and discussions about what kind of performance goals to set for the year ahead. As important as it is to focus on performance goals, the performance review is also the opportune time to discuss the employee’s Career Path, and what learning and development opportunities the employee needs to get there. Organizations that support ongoing continuous learning often find employees are more motivated and better prepared to help the organization achieve its goals, and meet the challenges and changes of the organization. Focus performance reviews on the future. Set training goals and engage employees in the idea that they are worth investing in. Provide tuition support for courses related to their development. There are numerous benefits to fostering learning in your organization. Sharing books or articles that fit your mandate, vision and goals will help spread the message and culture of your organization in a different way or channel. The information shared will also provide the kind of leadership or business knowledge that you ultimately want modeled in the organization. Continuous development and investment in employees will make them feel valued and keep them engaged and interested in the work that they are doing. They also gain new ways of thinking and looking at things and often bring information back to the team to share and generate dialogue and discussion, helping to create a stronger team bond. Ultimately, you will be creating a desirable place to work! 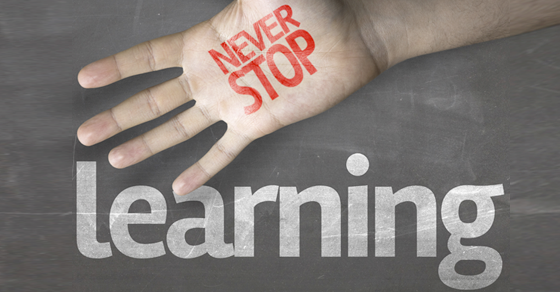 How do you currently support your employees with lifelong learning? Are there any upcoming training programs, workshops or seminars that would be of interest to your employees to attend? Start with having a discussion with your employee about what type of learning opportunities they may be interested in, and see what you may be able to do to support them.